Play it in game now! 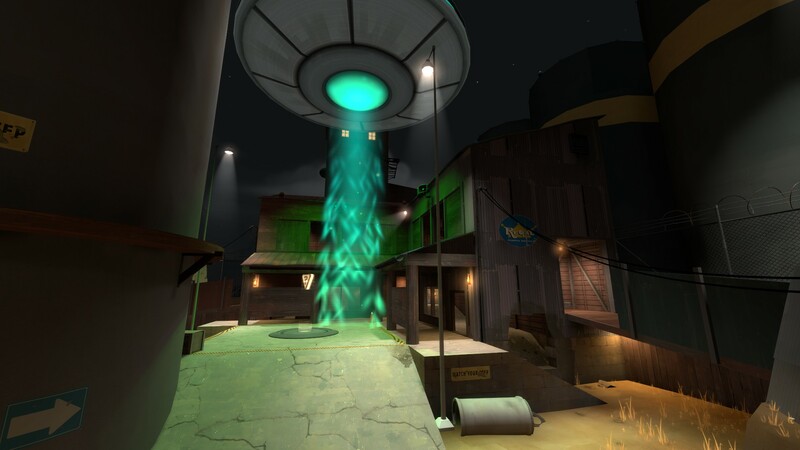 Probed is a king of the hill mode map created for the TF2Maps.net Mercs vs Aliens contest. 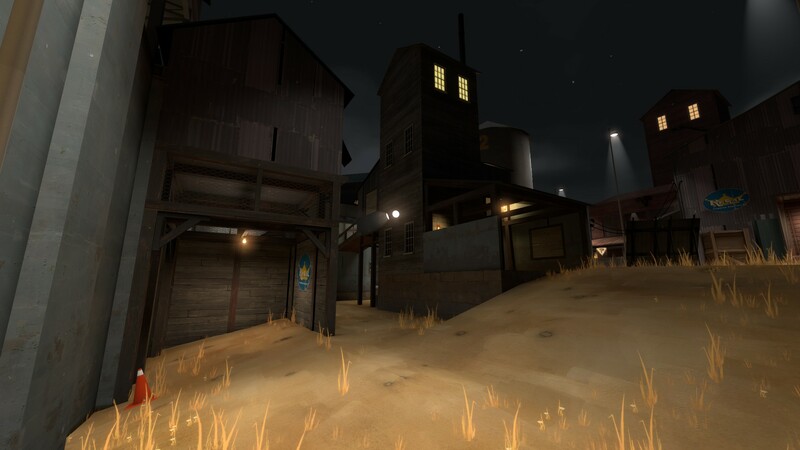 The map was originally created for the 2014 Summer 72hr Mapping Contest, also hosted by TF2Maps.net. 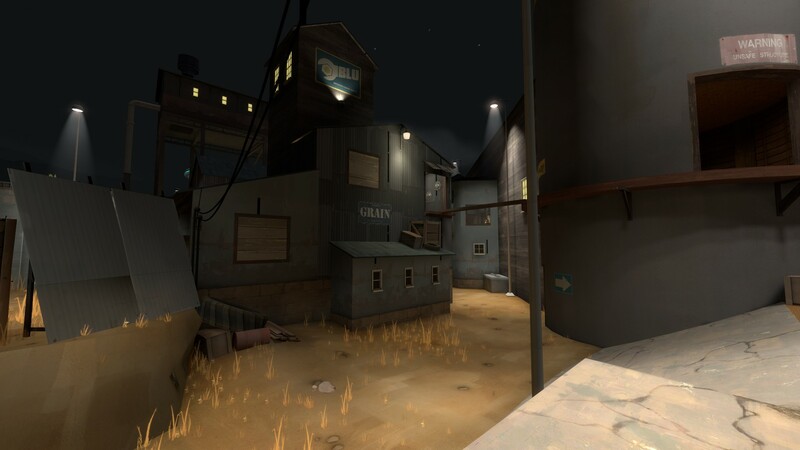 The map was then added into TF2 on Oct 6th during the Invasion update. 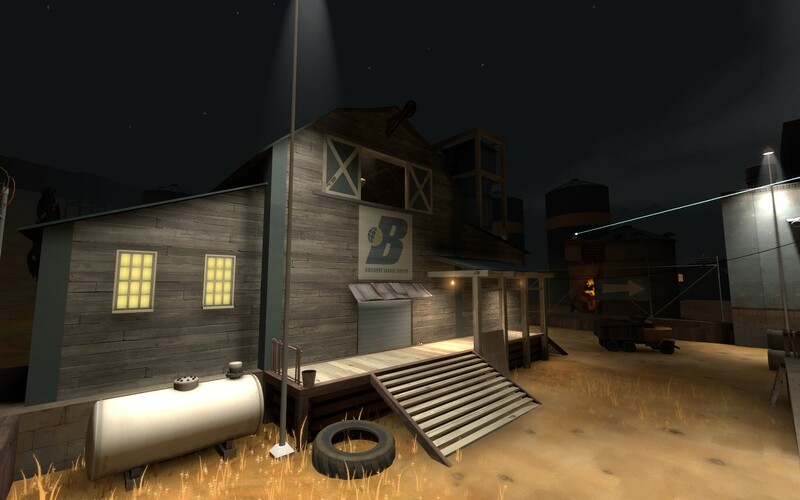 The map is night-time farm themed, and features a variety of alien themed events all over the map, including a UFO that swoops down over the point and abducts those standing on it, robot aliens that teleport into the map slowly during the course of the game and begin “attacking”, and UFO’s outside of the boundaries of the map abducting the wooden cut-out cows. The teleporting aliens event was a week long creation that I chronicled in my Crash’s Strange Mood series, which is a good recap of the madness I faced working on just a small part of this project. Near the end of the round, the currently winning teams hidden laser system unfolds near mid and positions itself to defend the Mercs from the alien mothership. When the round is won, the laser belonging to the team who won fires off, destroying the alien mothership and causing the UFOs and robot aliens around the map to self destruct (see below). 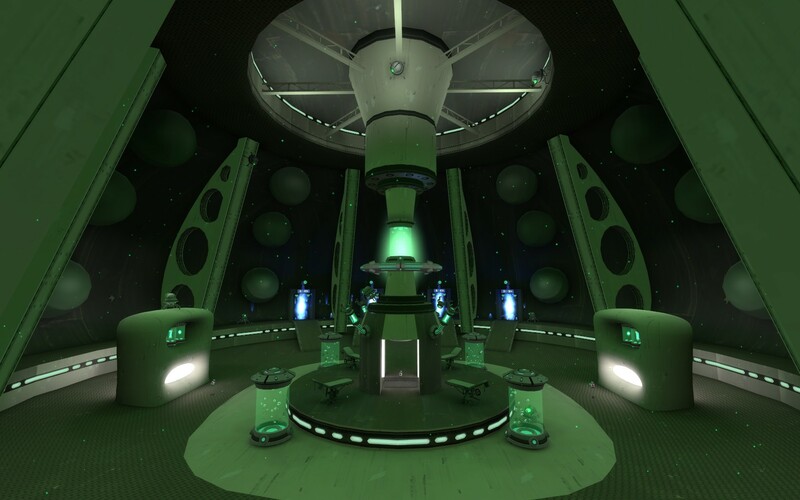 The map features a plethora of custom particles created by FissionMetroid, a large amount of which are used for the finale event seen below. 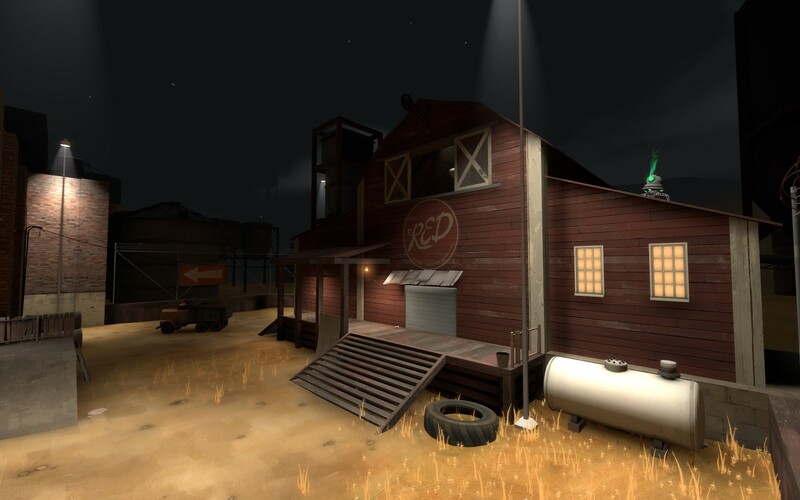 Probed won first place in the Mercs Vs. Aliens contest hosted by TF2Maps.net.